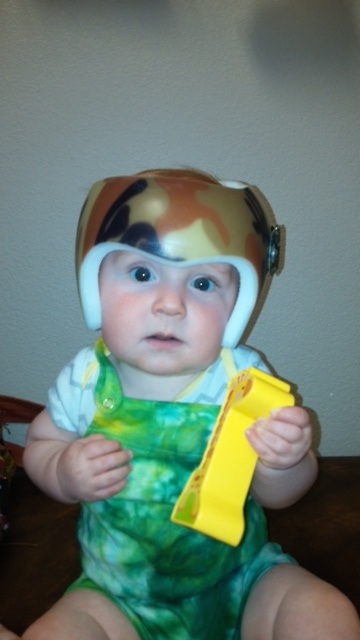 What is a Cranial Remolding Orthosis? 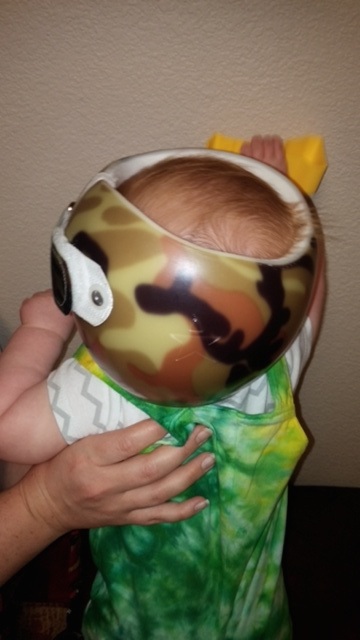 Cranial remolding orthosis also know as cranial band or a helmet, is a custom-molded device used to treat cranial asymmetry such as plagiocephaly, brachycephaly and scaphocephaly. The cranial remolding orthosis progressively and painlessly redirects the natural growth of the infant’s skull towards a more symmetrical and/or proportional shape. The incidence of cranial asymmetry has increased rapidly in the recent years. “Back to Sleep” started in 1992 when American Academy of Pediatrics (AAP) recommended that infants sleep on their backs to reduce the incidence of sudden infant death syndrome (SIDS). This has since lowered the rate of SIDS by 40%. But, combined with rigid baby carriers and car seats often used during daytime hours to hold and carry young babies, this has increased the amount of Plagiocephaly, Brachycephaly, and Scaphocephaly in infants today. Deformational Plagiocephaly, Brachycephaly, and Scaphocephaly, is diagnosed by clinical examination. Classification of severity is based on cephalic index and cranial vault in anthropometric measurements. The infant should also be screened for associated conditions, such as congenital muscular torticollis. Congenital muscular torticollis happens when the sternocleidomastoid muscle is shortened on one side. Infants with torticollis tilt their head noticeably towards the affected side. Torticollis is present in an estimated 80% of infants with deformational plagiocephaly. 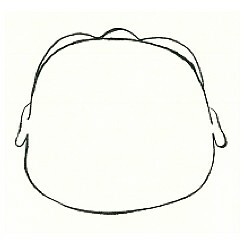 Plagiocephaly is an abnormal shape of the head. 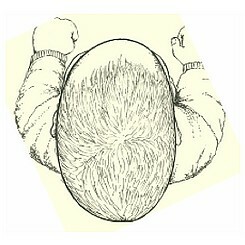 Brachycephaly is present when the entire back of the head is flat. 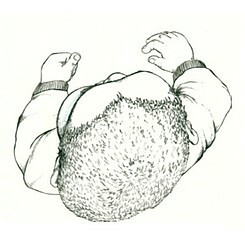 Scaphocephaly is when a baby has an abnormally tall and long head. Treatment of deformational plagiocephaly or Brachycephaly is generally indicated for infants with moderate to severe asymmetry. The age at which treatment is begun is the main consideration in determining whether the infant should be initially treated with repositioning or Cranial Remolding Orthosis. Consistent repositioning of a sleeping infant’s head for a period of 6 to 8 weeks will lead to a favorable outcome in infants less than 6 months of age. In infants 6 to 12 months of age, or when a trial of repositioning fails to correct asymmetry, a cranial remodeling orthosis is recommended. An important consideration in the use of remolding orthoses is that the efficacy of the orthosis depends heavily on the intrinsic growth capacity of the infant skull. 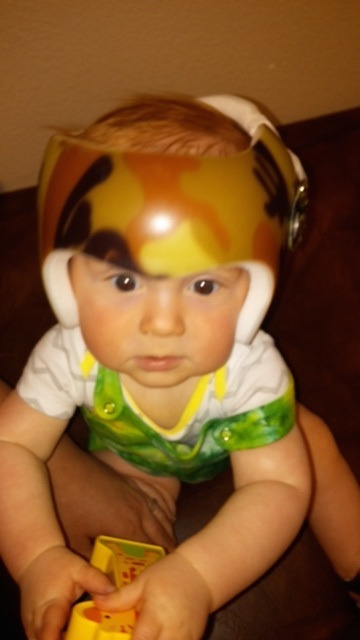 After 12 months of age, cranial growth slows dramatically and an orthosis is not likely to change the shape of the head. Orthomerica’s STARband cranial remolding orthosis are used here at Spectrum Orthotics & Prosthetics. They are custom made to gently correct the shape of your babies head. No more than two weeks after insurance approval and the initial evaluation, your baby will have his/her first fitting with the remolding orthosis. Adjustments will be made then and your baby will go home with their remolding orthosis. 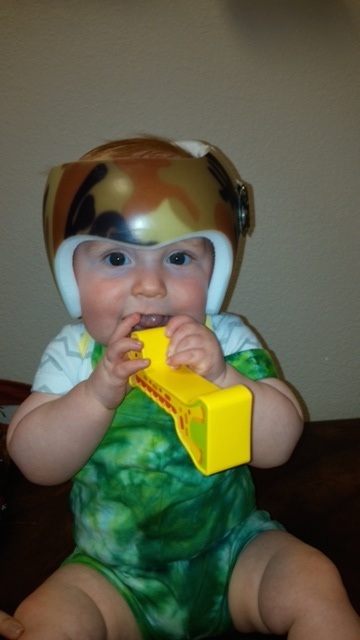 Ultimately, your baby will wear the helmet 23 hours a day, taking it off only for bathing and to clean the orthosis. Follow-up visits will be scheduled for the entirety of your baby’s cranial remodeling treatment. During these visits, follow up measurements will be taken to track the progress of your baby’s treatment. Adjustments will be made to the orthosis to help maintain progress at these follow up visits as well. Please call the Oroville office at (530) 538-9500 with more questions.